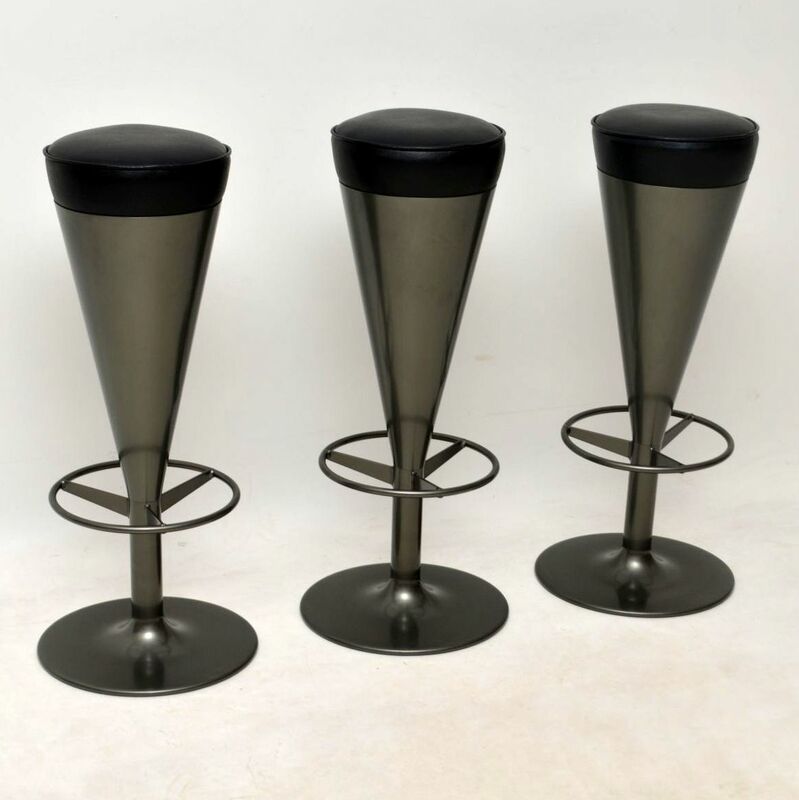 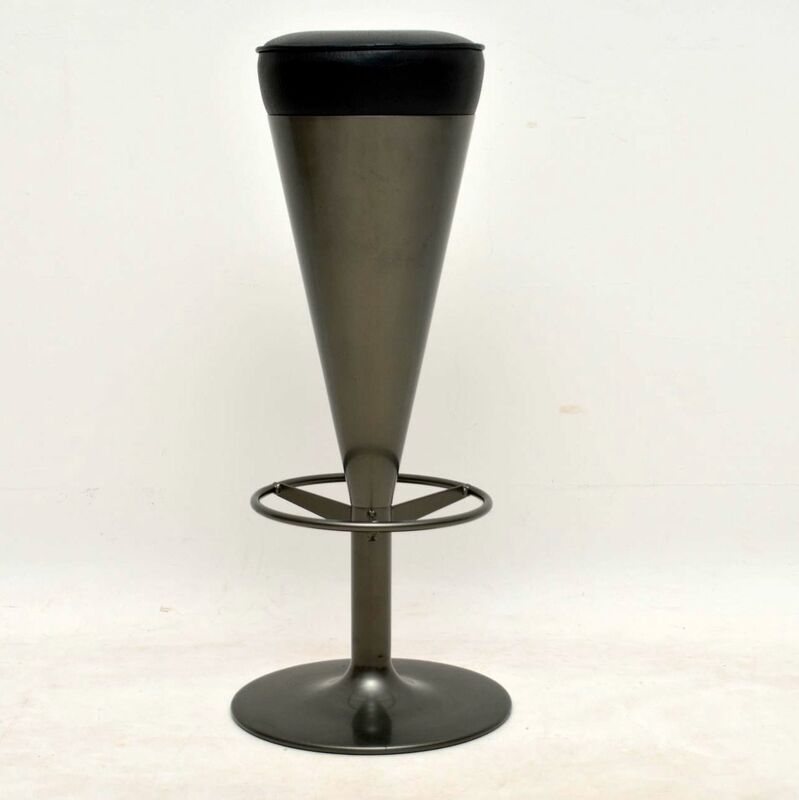 A stylish and extremely well made set of retro bar stools, these were made in Sweden by Johanson design. 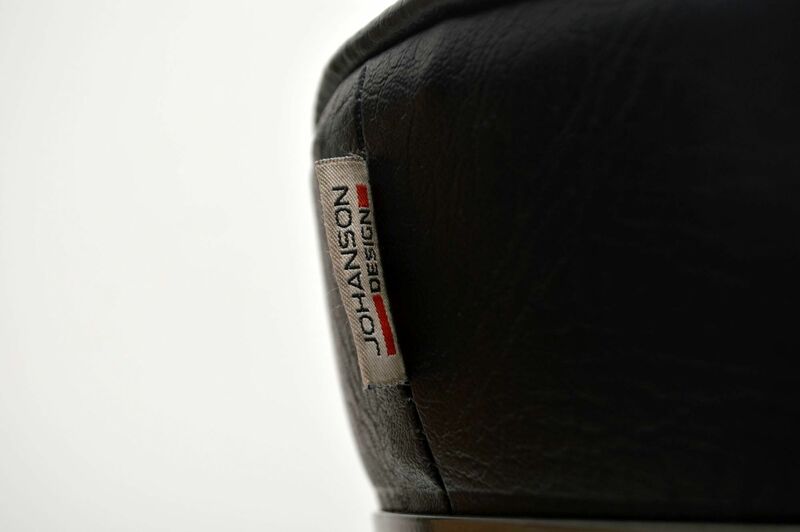 Johanson design has been making top quality furniture since the 1950’s, these are a more modern design, originally designed in the early 1990’s. These are probably around 20-25 years old, when we obtained them the paint had lots of superficial wear and the upholstery was gone. 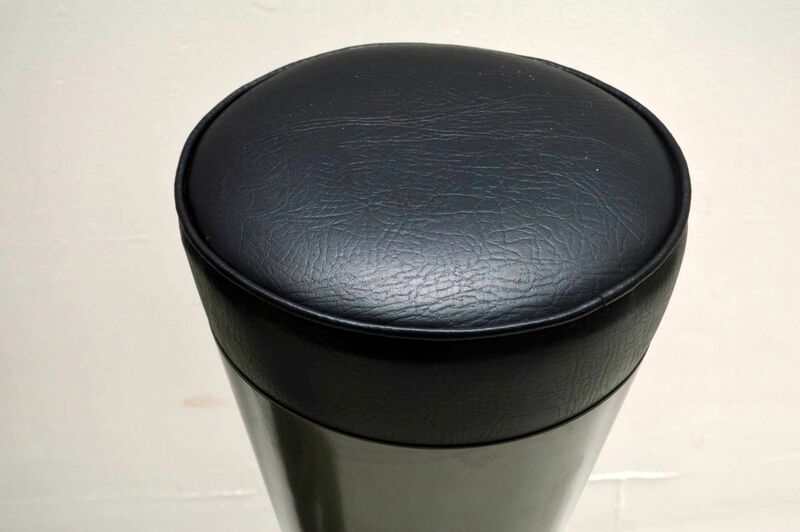 We have since had the metal work professionally re-sprayed and the seats re-upholstered in black vinyl, keeping the original labels. 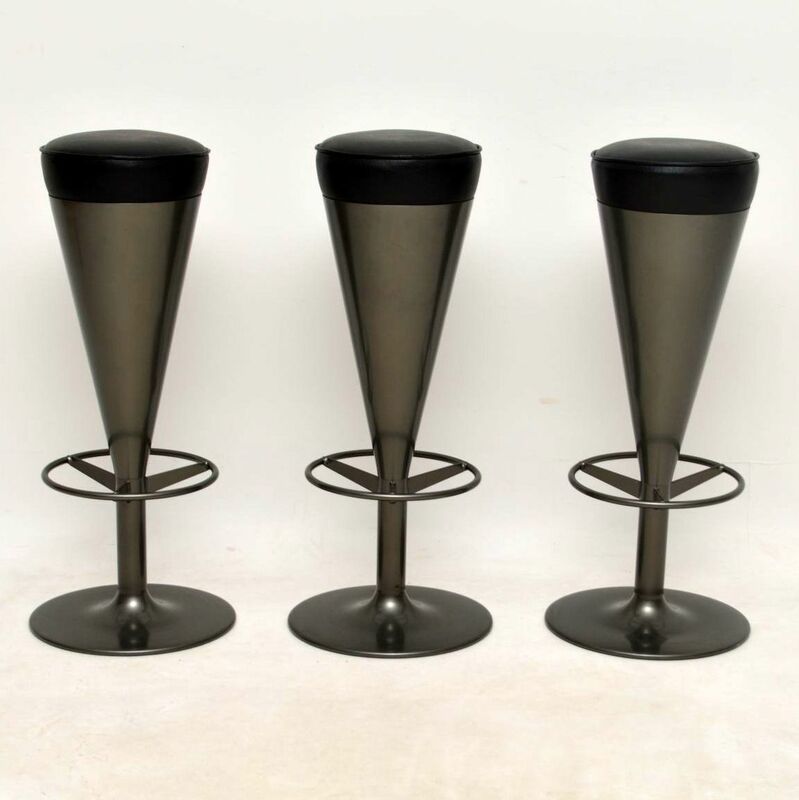 We originally had nine of these and sold them all, these three were recently purchased back from a customer who bought them several years ago. 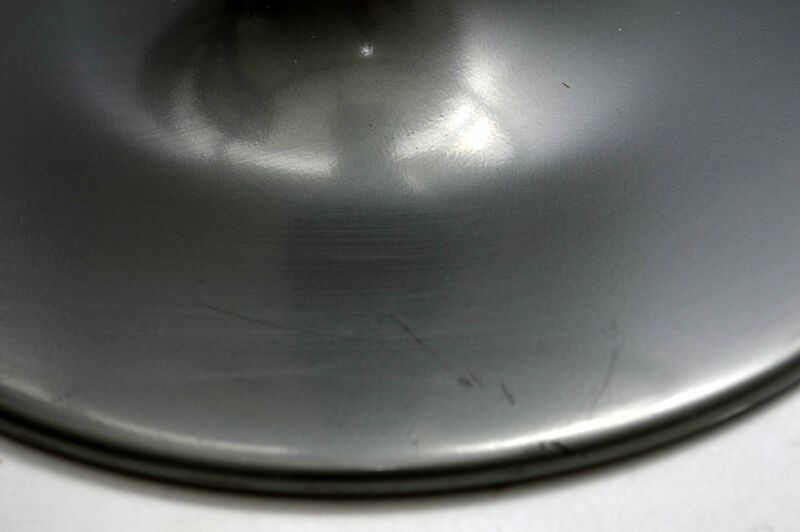 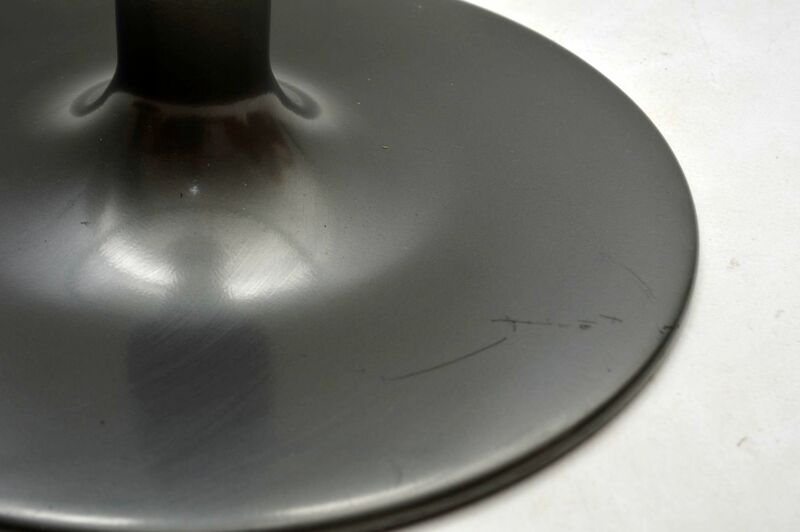 The condition is still excellent, there is a little minor wear and a few minor marks to the base on one stool, seen in the images. 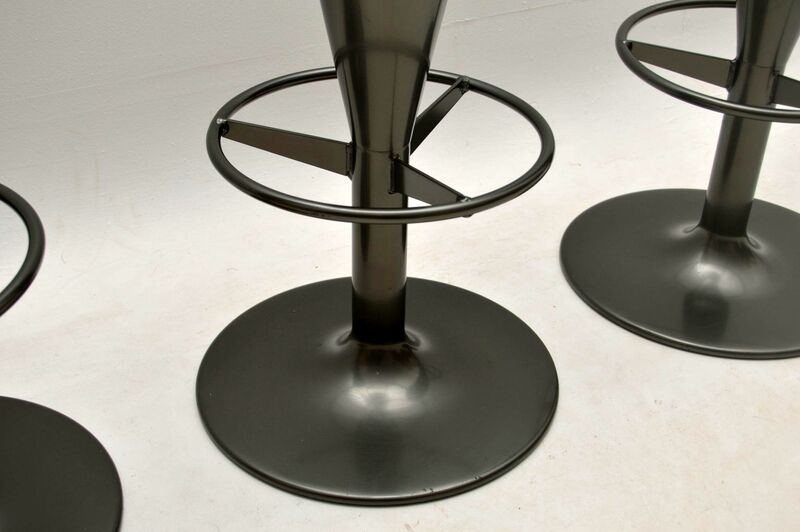 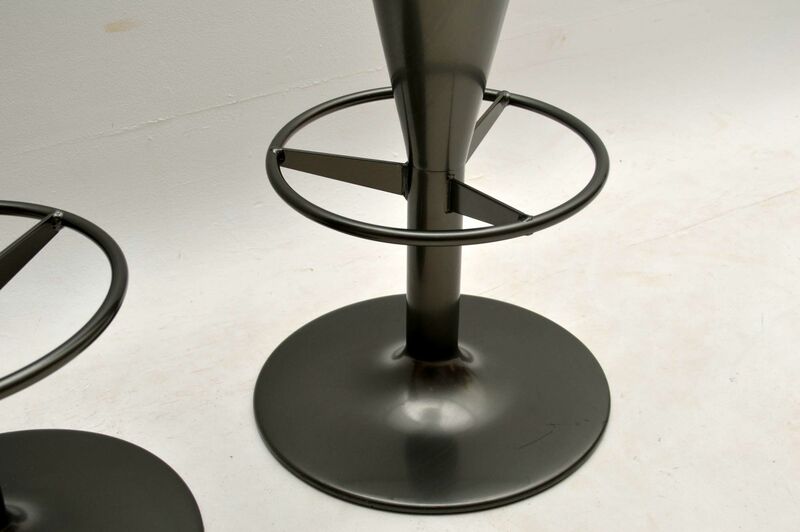 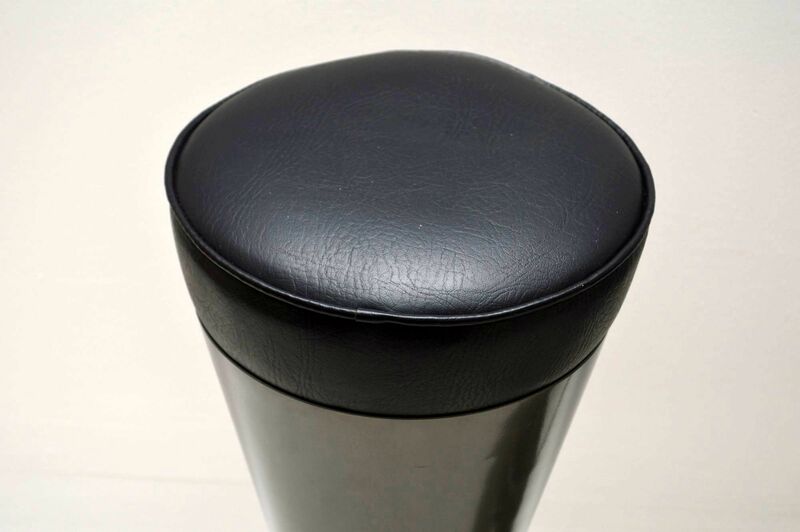 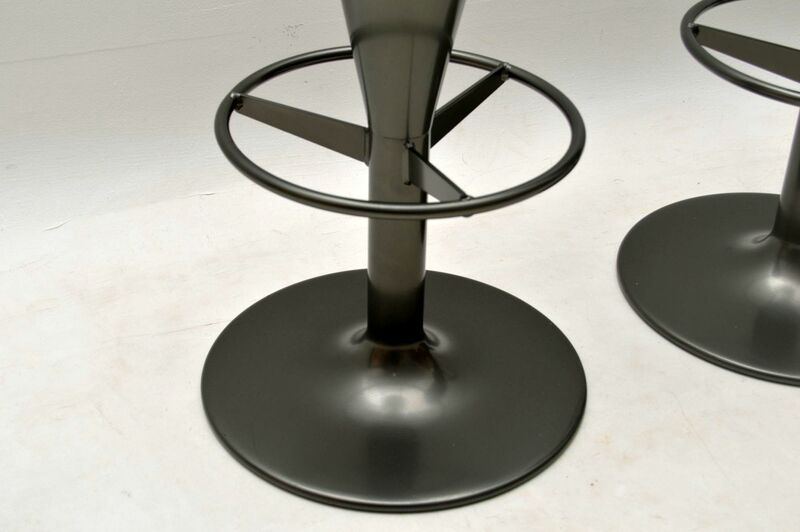 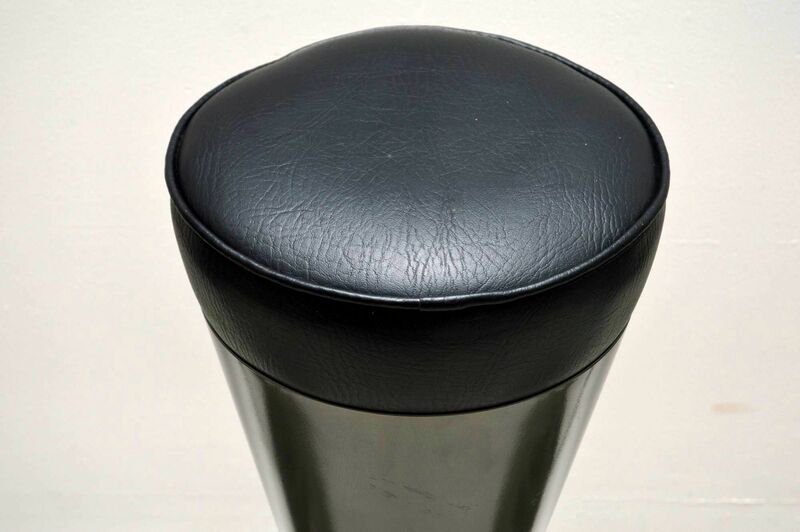 These are usually only available to the contract market and retail at around £400-500 per stool.